While not having an emergency reserve represents a big threat to anybody’s financial health, without a doubt, useful source Bonuses the biggest threat to the financial health of many Americans is consumer debt! Consumer debt is comprised of credit card debt, auto loans, and other installment loans, but credit card debt accounts for the largest percentage. 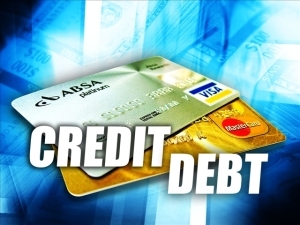 According to the Federal Reserve, total credit card debt in the USA as of 8/31/2015 was $918.5 billion. The number one issue with consumer debt, besides that fact that it enables people to spend money they haven’t earned yet, is the hefty price they have to pay for that convenience. Most consumer credit carries interest rates between 12% and 30%. That translates to a significant amount of money being paid to consumer credit companies in the form of interest. The Wall Street Journal recently reported that 70% of Americans are living paycheck-to-paycheck, regardless of their level of income, and consumer debt payments is a huge contributing factor. Consumer debt payments and living paycheck-to-paycheck can also cause a great deal of unnecessary financial stress as well. To make matters worse, consumer loan interest is no longer tax-deductible. While it’s never been advisable to carry credit card debt, at least the interest you paid could be written off on your taxes; until 1986 that is. In 1986 Congress passed the Tax Reform Act of 1986, which eliminated the tax deductibility of interest on consumer loans, such as credit cards and auto loans, among other things. The deductibility of mortgage interest and interest on business debt is about all that survived, and therein lies a key distinction. I refer to interest that is tax deductible as preferred interest and interest that is not tax deductible as non-preferred interest. Contrary to popular belief, there is nothing inherently wrong with paying interest. There’s a saying that goes “Those who understand interest earn it; those who don’t, pay it.” While I agree with that statement on the surface, I know that if you can borrow money at very low interest rates and invest that money at higher interest rates, you get to keep the difference, after taxes and fees of course, and that’s just one of many ways to grow your wealth. Isn’t that how banks make money? The problem is that too many people have too much non-preferred interest. 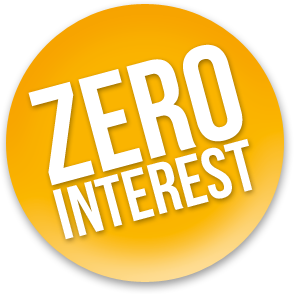 All that high interest rate, non-tax-deductible interest is keeping people from funding the things they claim are priorities in their lives, such as establishing a rainy day fund, taking that dream vacation, saving for college, and saving for retirement. Every dollar you pay in non-preferred interest, which makes other people wealthy, is a dollar you can’t put to work for yourself to grow your own wealth. It’s time to get rid of your consumer debt so you can eliminate the non-preferred interest you are paying. Getting rid of your consumer debt will increase your monthly cash flow and reduce your interest expense. Depending on how you go about eliminating that debt, you may be able to minimize your tax burden at the same time. However, not all consumer debt is bad and it doesn’t always make sense to pay it off. There are times when we are presented with very low interest loans, even as low as zero percent. For example, auto dealers often offer low to no interest loans as incentives to purchase new cars, and it is not uncommon for finance companies to offer zero interest financing until some date several years in the future. What you may not know is in the case of finance company loans, if the loan is not paid in full according to the terms of the contract, the interest will be due retroactively to the day the loan was initiated, and interest rates on those loan can be very high. I encourage anybody utilizing these types of loans to proceed with extreme caution. The first step on the road to financial health is establishing an emergency reserve. The second step is eliminating consumer debt. We have many common and uncommon strategies for getting rid of consumer debt. If you would like our help improving your financial health call us to schedule a time to discuss your specific situation.